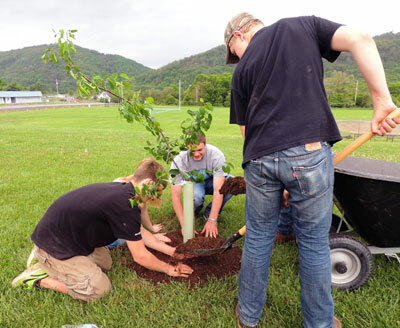 Riverside Design LLC and the Western Maryland Chamber of Commerce planted 24 flowering trees with students at Frankfort High School in Mineral County. Although slightly cloudy on the day of the planting, the temperature was just right for the 30 student volunteers that ranged from 8th and the 4 adults, that worked on this project. 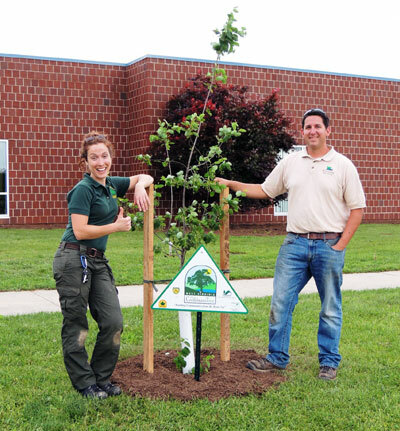 In addition to planting the 24 flowering trees, they also mulched all of the landscaping around the building. 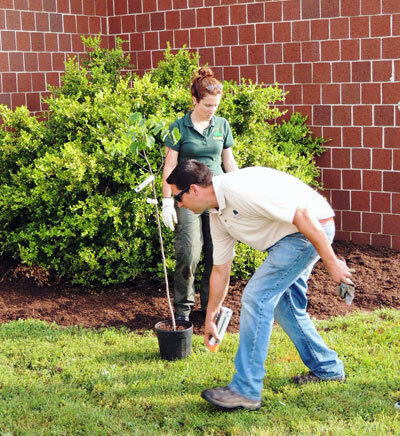 Over 12 yards of mulch was used for this project to help the trees and existing vegetation foster good root growth and hold in moisture. 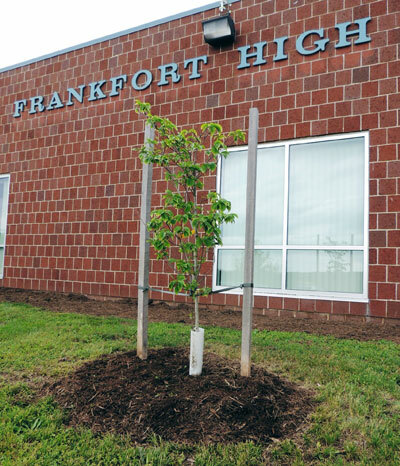 This project was an extension of a fall 2014 WV Project CommuniTree planting, bringing the total to 48 flowering trees planted at Frankfort High School.